Photo courtesy of roadrunpics.com - Thanks! Anyway – managed an easy 5 mile run this evening, mainly because it was mild and sunny when I finished work, but also because I had planned on trying out my first ‘carb loading’ session tonight. I’ve never bothered before, but since it’s a half marathon, might as well fuel up, right? So what wholesome food choices do I make? 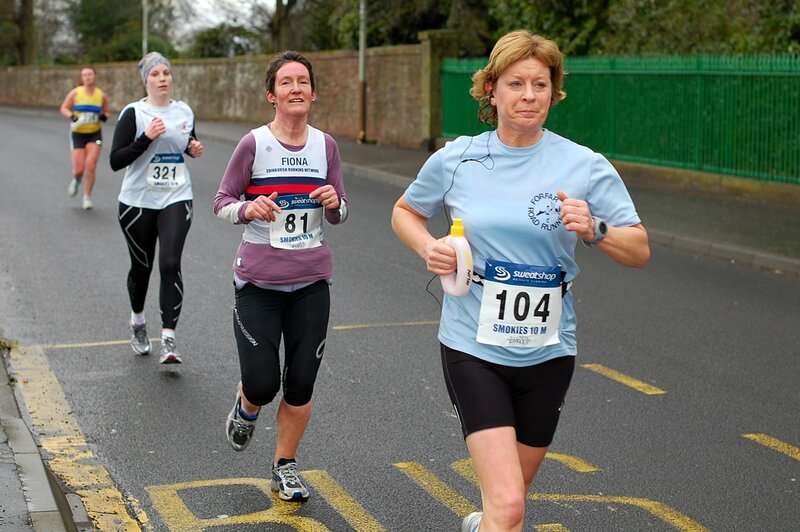 This entry was posted in 10 mile, Events, half marathon, Running, Training and tagged 10 mile, arbroath smokies 10, bad race photos, carb loading, excuses to be a pig, half marathon, running, training by MedalSlut. Bookmark the permalink. I was once told I “run funny” when I was a kid. I have absolutely NO idea what they meant or if they were just being mean (but, something must have triggered it I suppose…) To this day I’m self conscious of it almost to the point where I want to record myself running and compare it to a “normal” runner. But anyways, 1% of the population “looks good” after more than a few miles. I don’t think many guys come to a races expecting a photo shoot from Maxim. Ha ha, I’m sure you run like a pro! Unless you have friends who avoid running with you because they’re too embarrassed, like Phoebe from Friends. That would be unfortunate. And as far as looking terrible, you should see the effort some chicks go to in order to match all their high-end, specialist running gear. It makes me a bit self conscious about the holes in my running tights. i’m number 81 & i’m not looking too hot either-i’d been struggling with a stitch till the church & a nice lady said to me-you’re 101st if i’ve counted correctly-so i found some hidden strength & made 97th. no idea where the stitch went-just doesn’t look that pretty,i normally wear my sunnies to avoid the full face look. Hello 81! 🙂 I have actually admired your running tights since March, are they Solomon? And I think you look pretty good – at least you seem to have the strength to attempt a smile!